The Amplitude and Tone controller is a totally discrete VCA with simultaneous exponential and linear CV input. 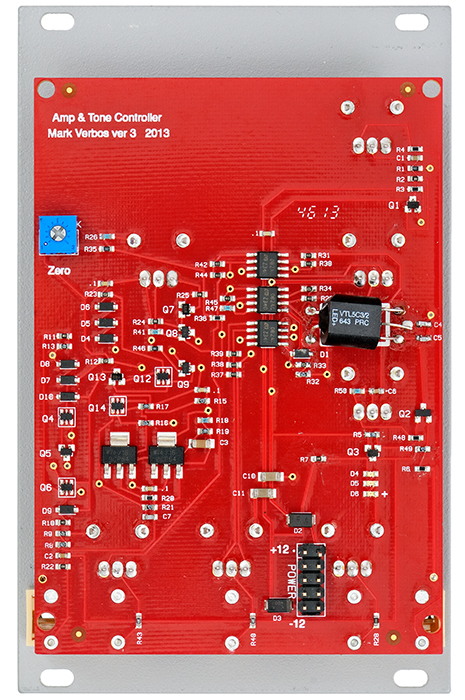 It also contains an all discrete, Vactrol based VCF with diode limited resonance. 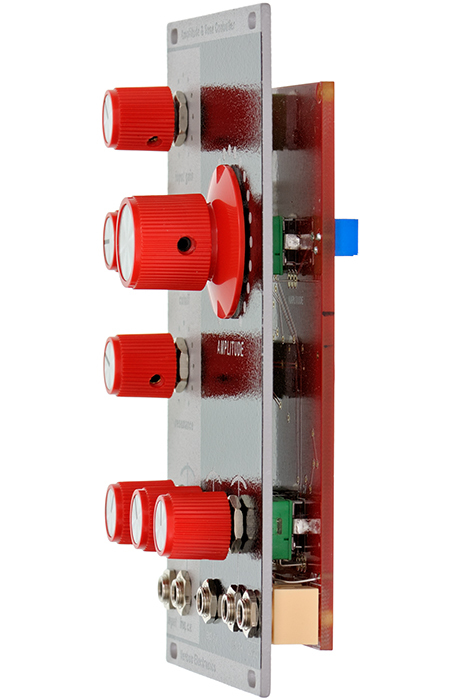 It also has a discrete input gain stage. 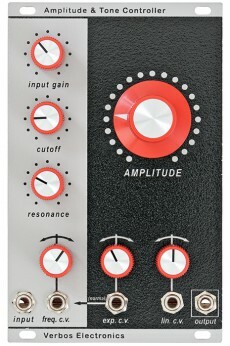 Careful balancing of the input gain and resonance control sets the mix of self oscillation and input signal, distorted on the VCA input if desired. There are no ICs in the signal path.